Tuesday was Mardi Gras and I had the privilege of being in New Orleans on the day when the whole city is either at a parade, in a parade, drunk or all three. And probably hung over from the parties of the previous three days. This city does know how to party and, during Mardi Gras, even the most distinguished members of the community seem compelled to behave like teenagers on junior prom night. 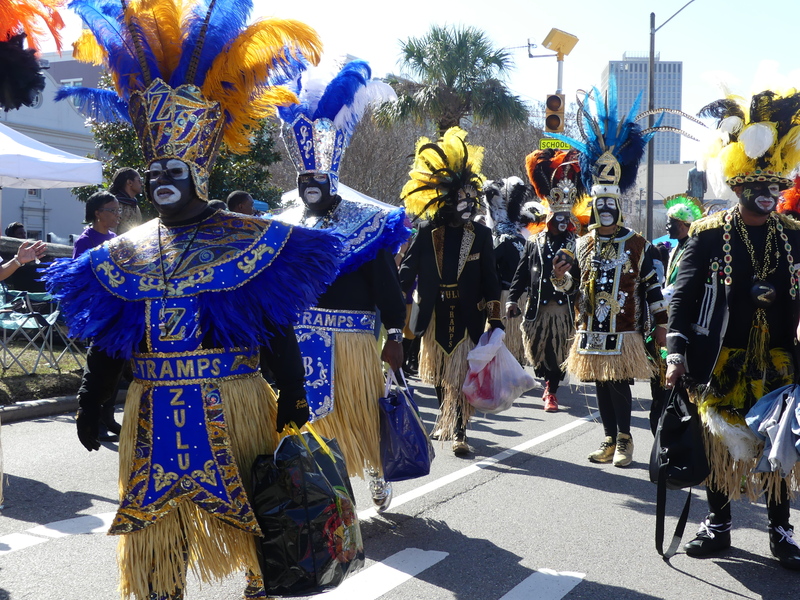 I only had enough time for one parade so I chose Zulu because it is offbeat and has a fascinating history. 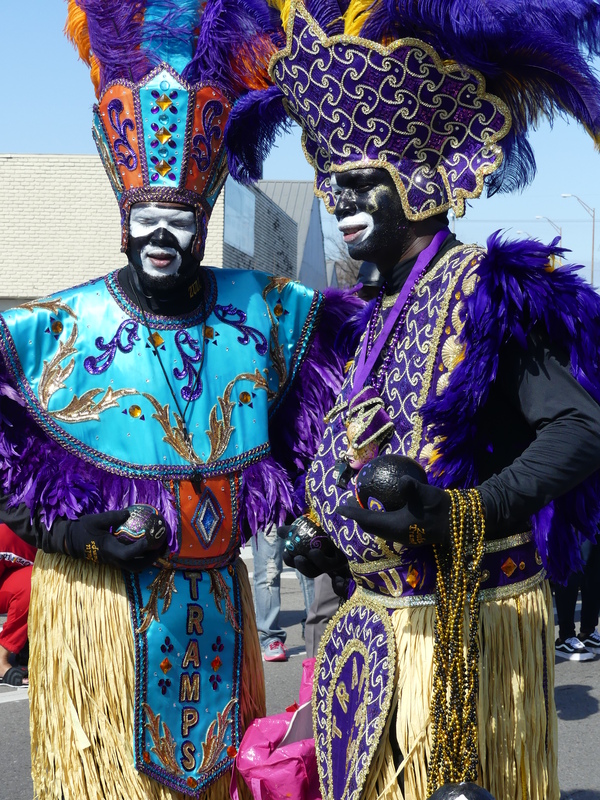 Short version of the back story — for most of Mardi Gras history, blacks were not permitted to join “white” Mardi Gras so members of the black community created their own traditions. 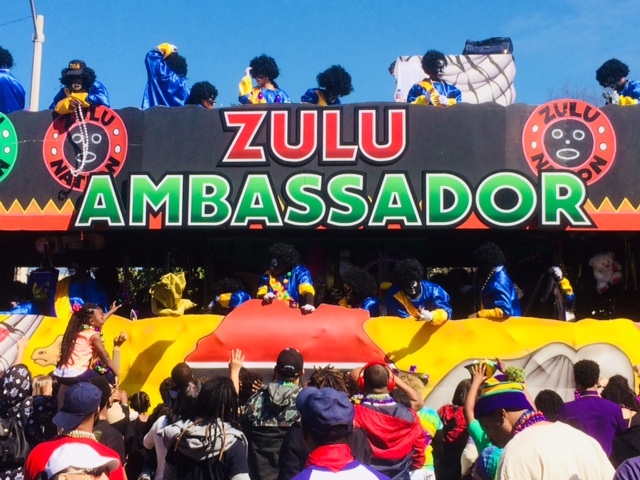 The first Zulu parade was organized in 1909 by the Zulu Social Aid and Pleasure Club (social clubs were ad hoc insurance companies for the black community, which could not get health care or insurance from white companies). 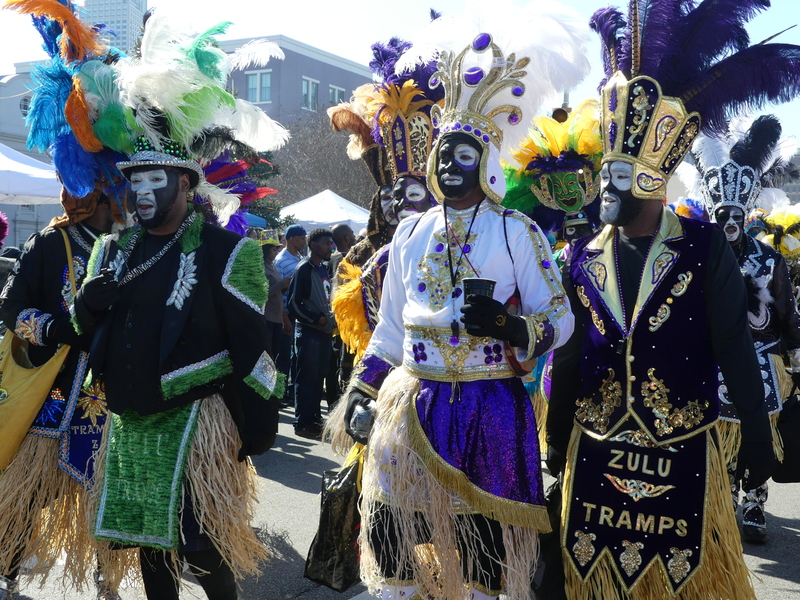 Zulu was not permitted to parade through the central part of the city like the dozens of parades organized by the white community, so (until 1968) Zulu followed a route through the back streets of Uptown and Treme. Mocking his rich, white counterparts, the first Zulu king wore a lard can for a crown and held a banana stalk as a scepter. The parade has been controversial over the years for a variety of reasons. Blacks dressed like “heathens”? Blacks wearing black face? You are going to throw coconuts in the direction of my head? Other stuff forcing everyone to think about it! 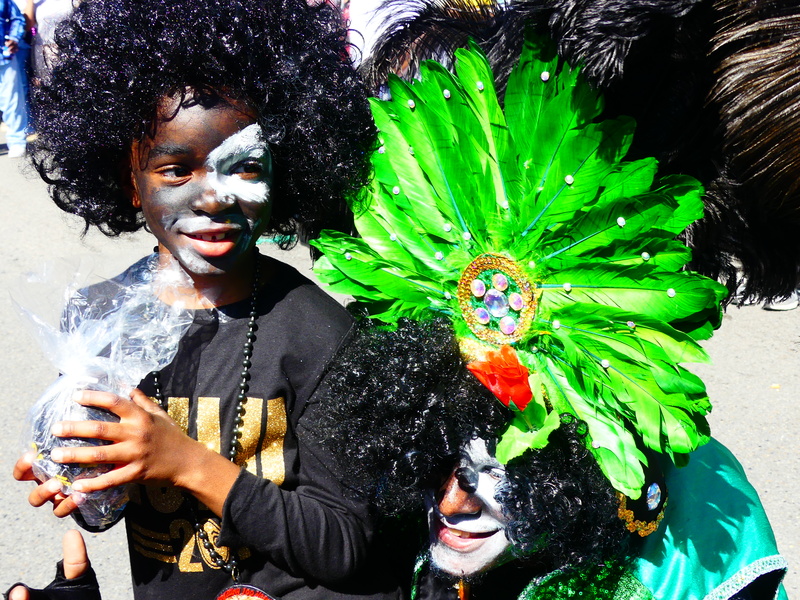 And pass special laws — in Louisiana, you are not liable if the coconut you throw off a Mardi Gras float hits someone in the head. I arrived at the midpoint of the parade route to see the first set of dancers and floats. 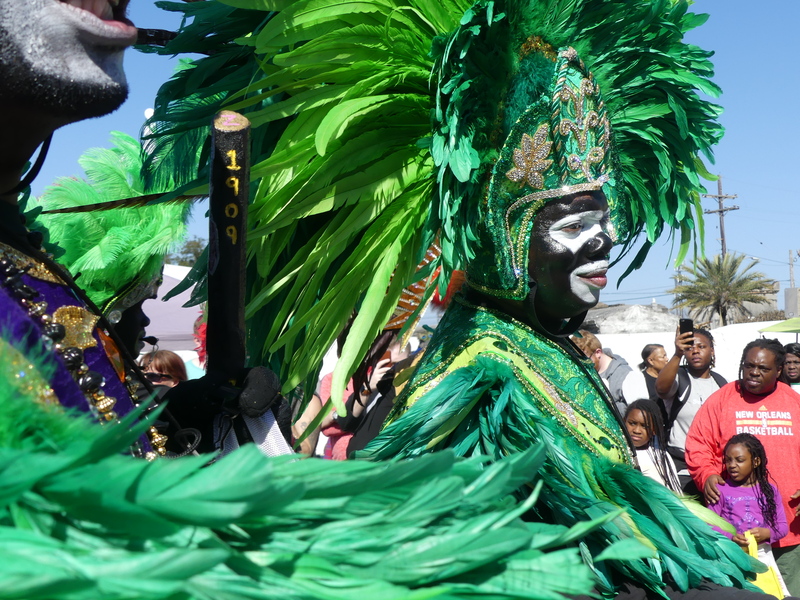 Zulu warriors with elaborate head dresses and wildly decorated costumes lead the procession, dancing and engaging the crowds with humor and taunts. Navigating through many thousands of parade watchers, I followed the parade through the French Quarter to Claiborne where the parade ended. Lots of families with kids, lots of barbecue, lots of hands outstretched to catch the last of the coconuts. I joined a group of kids who were eager to help me take photographs and show me ways to get the coconuts, which turned out to be a fool’s errand. 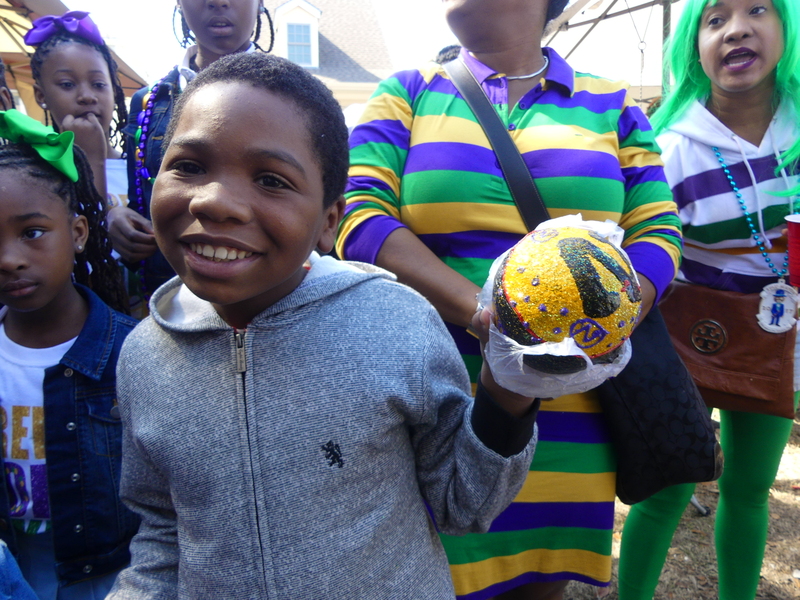 Mardi Gras is the last day of having fun before Lent, the 40 days before Easter when everyone is supposed to behave. I suspect “behaving” in New Orleans is a relative thing. Pics are so colorful! And your backstory well done. Thx Kim! Wow, it looks like so much fun! PS I loved the series Tremé. I never saw Treme, but I think it’s about time!